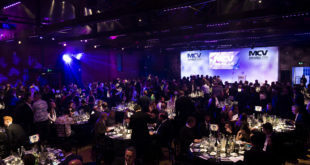 There are just four weeks to go until the Games Media Awards take place once more. This year, there are over 60 writers, presenters, Youtubers, streamers and media brands in the running for one of these coveted awards. The Games Media Awards are celebrating 10 years in 2016 (they grow up so quickly, don’t they? ), with the 2016 event taking place at Sway Bar, London on Tuesday October 11th. You can guarantee it will be a night to remember. It’s free to attend the Games Media Awards if you are a journalist or presenter. Email lisa.carter@mimrammedia.com to register for the guest list. Trade tickets are available for non-media, priced at just 79 each. Click here to find out more.